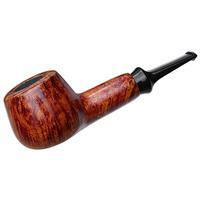 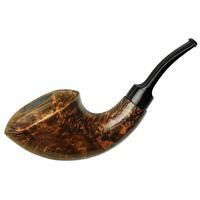 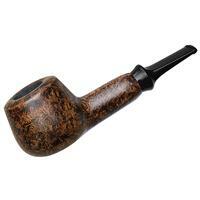 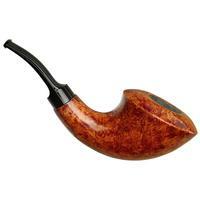 Following a continuous taper from rim to shank end, this Norrebro features the sweeping, fluid silhouette of the Danish Horn with the more active, upright stance of a modernist Dublin — all in a compact, abbreviated form that's easy to pick up and take with you. 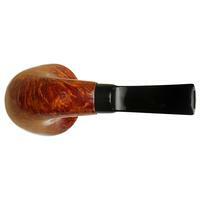 This example is finished in a light, smooth polish. 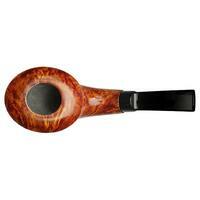 Bowl Height: 1.85 in./46.94 mm. 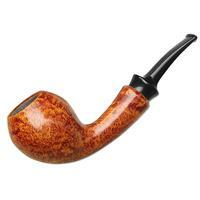 Chamber Depth: 1.58 in./40.09 mm. 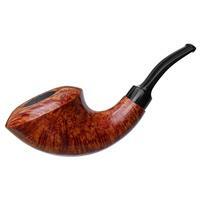 Chamber Diameter: 0.82 in./20.76 mm. Outside Diameter: 1.79 in./45.58 mm.